Participants of the contest: everybody willing to participate, registered on the website of the International Association "VATIKAM". Contest start date: September 1, 2016. Work submission end date: November 30, 2016. Voting end date: November 30, 2016. Result announcement date: December 1, 2016. 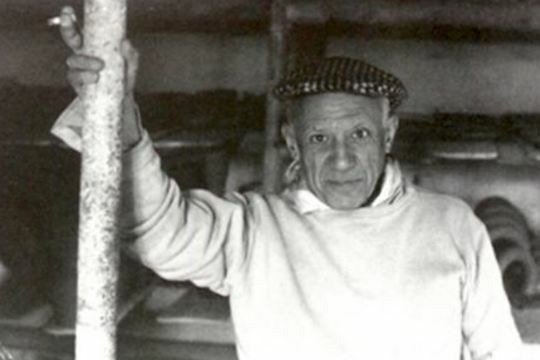 This year it is 135 anniversary of Pablo Picasso birthday. During his long, full of productive creativity life the artist has created around twenty thousand works and was recognized by experts as the most “expensive” artist in the world. In co-authorship with Georges Braque and Juan Gris he founded a new painting style "cubism". All his life Pablo Picasso was searching, trying to convey feelings and mood through experiments with colour and form. It is difficult to find such an artist on whose works the genius of this indefatigable seeker of new artistic directions has had no impact. We will be glad to see your works dedicated to the creative works of genius Pablo Picasso. This may be different variations on the theme of his famous paintings, works the creation of which are inspired by his creativity , paintings or drawings in one of the styles in which he worked. It is allowed to post a portfolio of works in other specializations. In this case in the preface to works explain why you think your works fit the theme of the contest. The contest can admit one portfolio per participant containing from three to seven works. After the completion of the contest "To the Birthday of Pablo Picasso", portfolios, specially created for this contest, continue to participate on the same basis in the main contest of the project VATIKAM "Best works of 2016". Both the participants and registered visitors can vote for the participants’ works. For the objectivity of voting the rule was set according to which a registered participant or user may vote for the same portfolio only once. Winners of the first three awards are participants with portfolios that get the maximum number of votes for the entire period of the contest. Winners of the contest will be awarded with honorary diplomas of first, second, third degree from the International Association VATIKAM. Works of three participants of the contest, whose portfolios got the greatest number of votes, will be places on the main page of the site vatikam.com for a period of 1 month. Also we decided to establish a special prize for three participants with the most votes. Is a certificate entitling you to have a discount of 50 Euro on the publication in the first catalogue of participants’ works of the project VATIKAM. Looking forward to your works.